We’ve just added a digital version of our newest Catalog Update Flyer to the TwoMorrows website. You can view it, containing details of our next 6 months’+ releases, or download it in PDF form HERE! This entry was posted in TNT on 31 October 2016 by Mr. Morrow. Sold-out MAGAZINES added to the Scratch & Dent sale! In addition to books, we just added numerous SOLD OUT MAGAZINES to our Scratch & Dent sale, all at 15% off! 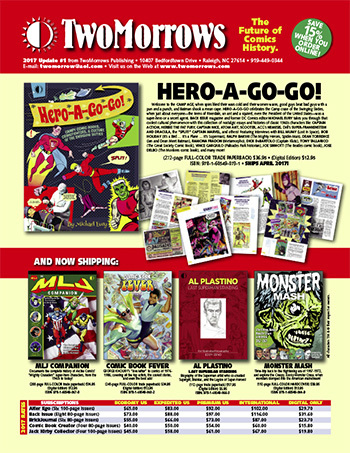 In many cases, we only found ONE COPY of these out of print issues of Alter Ego, Back Issue, Draw, Comic Book Artist, BrickJournal, Rough Stuff, Write Now, and more, so don’t delay. It’s your LAST CHANCE to get these! Plus several sold-out books! See the full list HERE! This entry was posted in TNT on 28 October 2016 by Mr. Morrow. IN PREVIEWS NOW: Alter Ego, Kirby, Draw, BrickJournal, & last chance for Back Issue #90! SPECIAL NOTICE: Back Issue #90 is being offered again in this month’s Previews, and like #88 and #89 before it, we expect it to sell out completely after Diamond’s order is placed. Don’t miss this final chance for a copy, either from www.twomorrows.com, or through Diamond! This entry was posted in TNT on 27 October 2016 by Mr. Morrow. 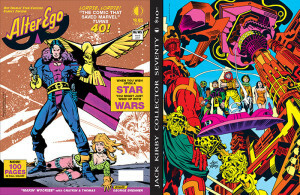 Michael Eury’s HERO-A-GO-GO is a go (go)! 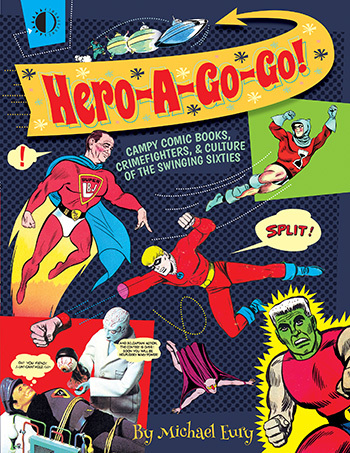 We just posted an online preview of Back Issue editor Michael Eury’s incredibly fun (and deeply researched) book Hero-A-Go-Go! It’s all about the Camp Craze of the 1960s, from comics and TV shows to toys to… well, just take a gander and see for yourself. It ships in April, and you can see the preview and preorder HERE! This entry was posted in TNT on 26 October 2016 by Mr. Morrow. Scratch & Dent sale on long sold-out TwoMorrows titles! We’ve just found a bunch of Scratch & Dent copies of older, long sold-out TwoMorrows titles! All are fully readable, but may have dinged corners or scuffed covers. But these are the ABSOLUTE FINAL COPIES you’ll find without paying exhorbitant eBay prices, so check out the list HERE! • I Have To Live With This Guy! In some cases, there’s only ONE copy left, so don’t delay! This entry was posted in TNT on 21 October 2016 by Mr. Morrow. Don’t wait to order recent TwoMorrows mags! It’s happened again: Back Issue #89 is now sold out, just like #88 last month! Due to recent changes with our distributors, TwoMorrows is experiencing unprecedented levels of reorder activity on our magazines. We expect similar sell-outs over the next few months, for Back Issue #90-93, as well as recent issues of Alter Ego (#140-143), Jack Kirby Collector (#67-69), Draw (#31-32), and Comic Book Creator (#11-13), once Diamond’s reorders come in. And if you’ve been delaying getting other recent issues, don’t wait much longer. While we plan to increase our print runs to compensate for demand on future issues, it’s too late for any that are already printed. Don’t wait for a relisting, convention, or sale. Many recent issues are close to selling out, so order now! This entry was posted in TNT on 12 October 2016 by Mr. Morrow. TwoMorrows at NYCC, booth #1308, with 40% off many items, and signings! TwoMorrows is gearing up for a trip to the Big Apple this week, for the New York Comic-Con! Stop by booth #1038 for a whopping 40% off most older items at our booth. Plus, we’ll have copies of our latest issues of Back Issue, Alter Ego, Jack Kirby Collector, Comic Book Creator, and Draw magazines! 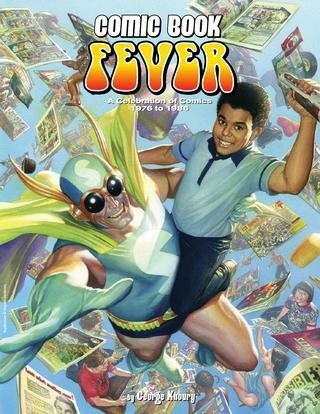 On Saturday (Oct. 8) at 1pm, author George Khoury will be signing copies of his new book Comic Book Fever, celebrating the era of comics from 1976-1986, covering all the things that made those comics great—the top artists, the coolest stories, and even the best ads! 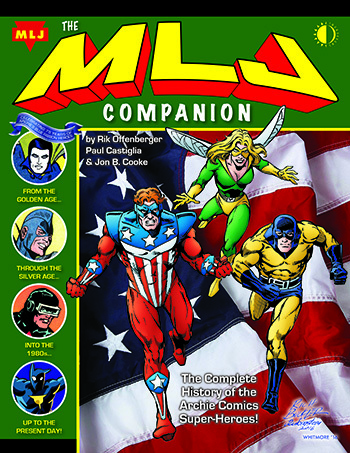 Also on Saturday at 2pm, co-authors Paul Castiglia and Jon B. Cooke will be on hand to sign copies of our latest release, The MLJ Companion, documenting the complete history of Archie Comics’ super-hero characters known as the “Mighty Crusaders”—The Shield, Black Hood, Steel Sterling, Hangman, Mr. Justice, The Fly, and many others, from their Golden Age debuts, up through today’s “Dark Circle” line. This entry was posted in TNT on 3 October 2016 by Mr. Morrow.